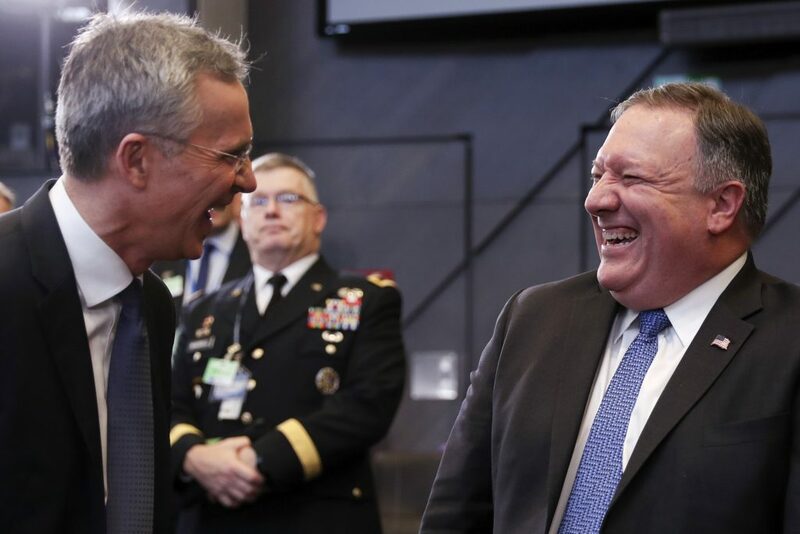 Pompeo announced the decision after NATO allies meeting in Brussels supported Washington’s contention that Russia violated the terms of the 1987 Intermediate-range Nuclear Forces Treaty. “We either bury our head in the sand or we take common-sense action,” he said. Accusing Russia of “cheating at its arms control obligations,” Pompeo said a six-month notice period for leaving the treaty would start in 60 days. Washington alleges Russia’s new SSC8 missile system contravenes the Cold War-era treaty, which bans all land-based cruise missiles with a range between 310-3,410 miles. Pompeo said Washington “would welcome a Russian change of heart” but that he has seen no indication Moscow is likely to comply. Earlier Tuesday, foreign ministers from other NATO member countries said in a statement that they “strongly support the finding of the United States that Russia is in material breach of its obligations” under the arms pact. Russia’s new SSC8 missile system is of major concern to NATO allies. The U.S. has shared intelligence evidence that the ground-fired cruise missile could give Moscow the ability to launch a nuclear strike in Europe with little or no notice.